St Brigid’s minors were due to clash with St Paul’s in the Dwyer Cup this Saturday 7th April at Colaiste Feirste, however St Paul’s have pulled out of the game, meaning the title goes to St Brigid’s by default. The lads had two good wins over St John’s and Gort na Mona and were looking forward to a final — but can nevertheless look forward to the season ahead with a trophy under their belts already. 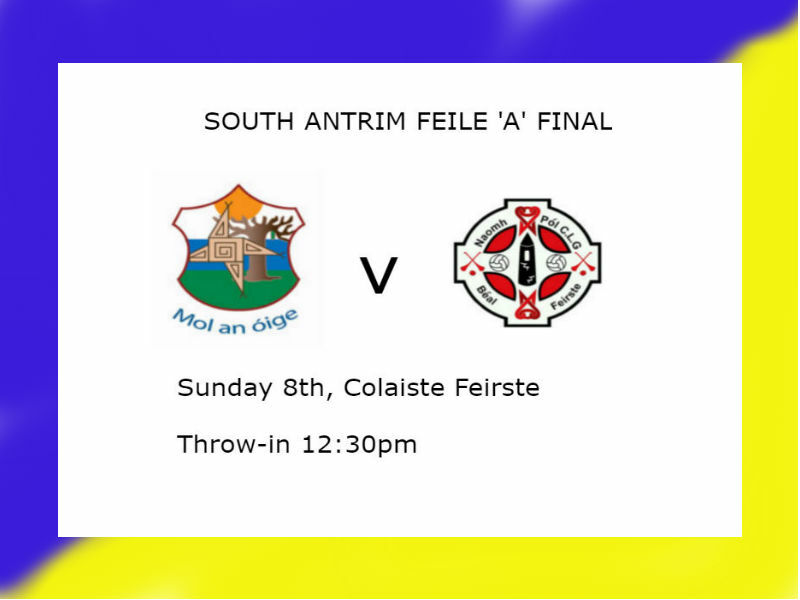 If you’re still looking to cheer on one of our teams to glory, pop along to see our Feile team in action: the boys are in the ‘A’ final, also v St Paul’s at Colaiste Feirste, at 12:30pm on SUNDAY.